Record video of your iPhone screen. Is there a better alternative to Hotshot Screen Recorder? Is Hotshot Screen Recorder really the best app in Video category? Will Hotshot Screen Recorder work good on macOS 10.13.4? 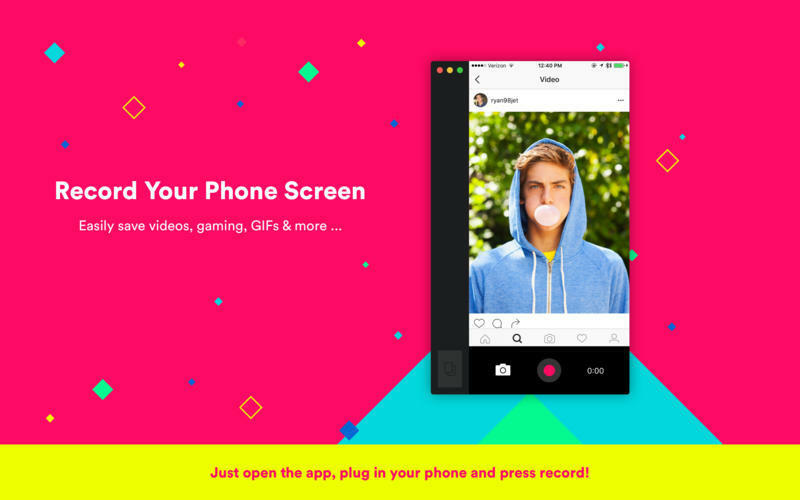 Hotshot Screen Recorder is the easiest way to record video of your iPhone screen - just plug in your iPhone and hit record. Now you can save videos, gaming, GIFs, and more. You can even save and remix your own Snapchat Stories. Hotshot Screen Recorder needs a rating. Be the first to rate this app and get the discussion started!